Chance to Shine Street brings cricket to thousands of young people in urban areas. It uses the game to increase aspiration, promote social cohesion and create opportunities in diverse communities. There are currently 165 Chance to Shine Street projects across the country. The projects run after-school or at weekends, they are completely free, players don’t need to bring any equipment and can wear whatever they like. The sessions run in sports halls, youth clubs, parks and community centres for two age groups - Youths (8–16) and Young Adults (16–24) – and in some locations there are female-only sessions. In 2019, Cricket East aims to run Chance to Shine Street programmes in six areas across Bedfordshire & Huntingdonshire operating throughout the year - watch this space for more details. In Luton, a Street programme for young people is already up and running and a youth programme will start in January 2019 and in Bedford, a youth programme will start in January 2019 - for further details of each project, click on the pages down the left-hand side. For more details about Chance to Shine Street in Bedfordshire and Huntingdonshire, contact Eddie Ballard, Programme Manager (Disability & Chance to Shine Street), at eddie.ballard@cricketeast.co.uk or call 07880 636482. 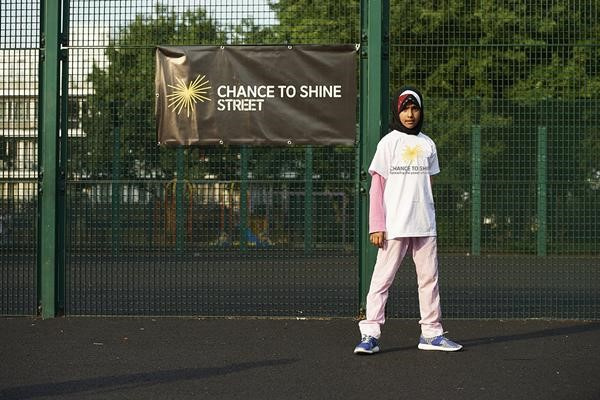 For further details about Chance to Shine Street and to find a project near you, click HERE.